When you think of medical devices the first thing that comes to mind is probably an expensive, heavily regulated gadget located in a hospital, or near the pharmacy aisle. Ventilators, heart rate monitors, or even band aids may fall into that second category. What you might not consider is the slow transition of your own personal items into a medical device – your watch, for instance. Everyday items are an attractive position for companies looking to diversify their portfolios into the growing home healthcare market. Home healthcare is projected to reach over $349 billion by 2020, and, with baby boomers reaching retirement age over the coming years, is only projected to continue increasing. Many of the personal items entering the market originally started off as lifestyle devices. You are likely well familiar with the Fitbit, many versions of which provide heart rate, sleep stats, and other diagnostic information. In 2014 Samsung also played with this idea by introducing the Samsung Galaxy S5, which also provided heart rate information. Yet Samsung and Fitbit both have avoided calling their devices a medical device. The long, drawn out process to acquire the medical device classification in the US cannot match the lightning fast pace of quarterly software development or even yearly development and release of smartphones, Fitbit, or other common personal electronics. Yet, some companies have recently started trying to enter the lucrative home healthcare market. It’s hard for CFOs and CMOs of these consumer product companies to justify abandoning a piece of technology if it can reasonably considered having future healthcare market entry features, due to the high potential for reward. In order to tap into the market, the aforementioned Fitbit has recently launched a device called the Fitbit Ionic Smartwatch and submitted clinical trials to FDA for approval as a blood-oxygen sensor to screen for sleep apnea and detect a type of heart arrhythmia. Another common personal device, the Apple Watch, released just a few days ago on Sept 21st, 2018, received FDA clearance for EKG heart monitoring and irregular heart rhythm notification. Another company, Omron, known for their blood pressure monitoring devices, announced a wearable blood pressure monitoring device that is currently routing through FDA clearance. Or the AliveCor Kardiaband, which was the first apple device to get FDA clearance, also readily monitors EKG to detect arrhythmias. Many of these devices are wrist-based as it’s a common wearable entry point, but is important to note these technologies have only been developed in the last year or two. That growing $349 billion home healthcare market is a tempting one to tap into, and one we may see more technology companies expand well beyond wrist and cardio-based measurement. 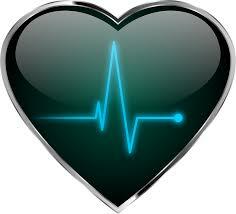 Your personal devices, and everyday home items, may very well start blurring into medical devices. Perhaps your smartphone will take a picture and provide cursory diagnostic information for early skin cancer detection. Or perhaps sensors in your bed may provide more accurate sleep quality recognition than the arm-based Fitbit. Some may not fully transition into a medical device, such as if Amazon’s Alexa hears you cough and suggests buying cough medicine, but you can certainly expect to see further expansion to the home healthcare market. Author Max Burton is an engineer at Smiths Medical and serves as a chair for the MedFuse 2018 Conference.